Earlier in our Waves of Mercy study, I pointed out that Jonah knew what was going to happen the moment he got his assignment from God. He knew how the story would end. That’s important, for us to understand what he was really thinking and feeling and why he responded the way he did — and what we can learn from it. But that’s a pretty unusual circumstance. Not Jonah’s attitude, of course, but his understanding of how the plan would unfold. Most of the time, when God tells us to do something, we have no idea what the outcome will be. We can’t possibly anticipate all that will take place on the journey, in the process, along the way. And we have no guarantees. No guarantees about success, that is. By our standards. Or by the world’s standards. If we had been given an assignment similar to Jonah’s — and some of us are being given these assignments today! — we might very well have our doubts. We might fear for our lives, or at least our jobs or our reputations. We couldn’t possibly know if the people we were called to preach to would receive the Word and repent and experience revival — like the people of Ninevah. Or if we were being called to lay down our lives, like Jesus did. Like many of the first disciples did. (See the book of Acts). Like many missionaries have since. I’m thinking of Jim Elliot, who died before leading a single Auca to the Lord — but whose martyrdom eventually led to the salvation of the entire tribe and inspired thousands and thousands of others into missionary service around the world. Or “ordinary” people like Al Braca, who faithfully lived out his Christian testimony before his scoffing coworkers in their busy corporate office in the World Trade Center, until the moment on September 11, when he had the opportunity to lead a whole group of them in prayer just before the building collapsed on them. 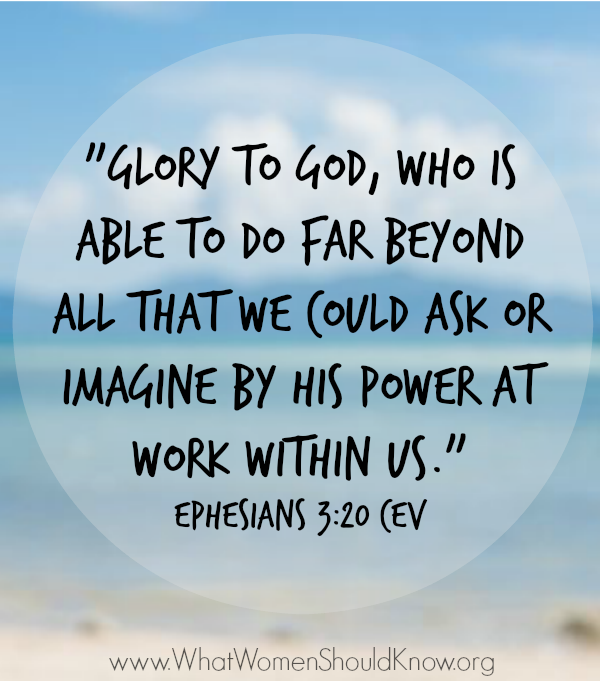 God is able to use our faithfulness and obedience in ways we can’t even begin to imagine. And His definition of success is so different from ours. We are successful when we say “Yes!” to Him. When we trust Him. When we walk in obedience to Him. 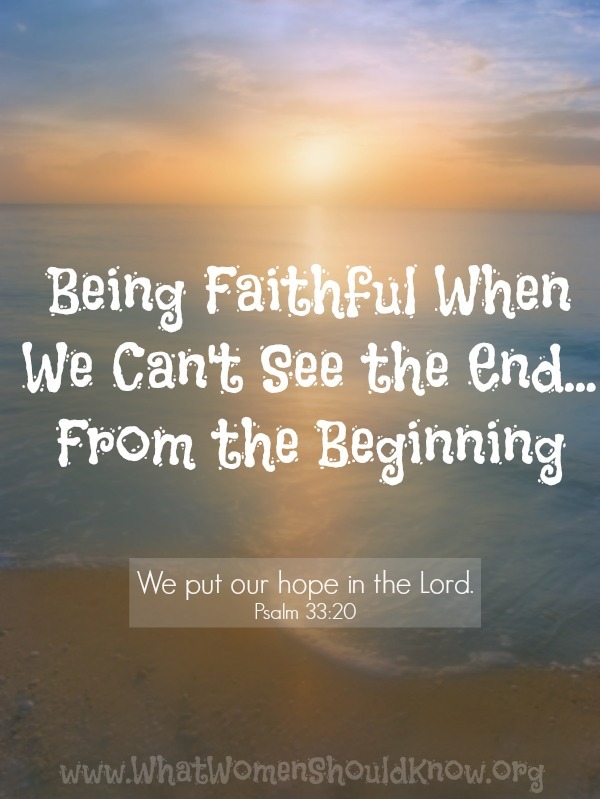 When we are faithful — which to me means when we keep trying, keep getting up, no matter how times we fall or fail. Keep holding on to Him! He guarantees us He will never leave us, nor forsake us. He will be with us every step of the way. He will give us all the wisdom, all the courage, all the strength, all the grace we need — moment by moment, day by day. He will fill us with His Spirit, His love, His joy, His peace. We may not know the end of this chapter or that chapter, but we know how the Book ends. It ends in victory. He promises — He guarantees — He will lead us to victory! It won’t be easy. It never is. But it sure is better with Him, than without Him. Read: Jonah 3 (again), Matthew 21:28-31, Revelation 3:19. As you read these verses, think about the different ways we can respond to correction… the different ways people in Scripture responded, the different ways you yourself have responded. What have you learned in the process? Next week is the last week in our five-week summer studyof the book of Jonah! Isn’t it amazing what we learn from such a “simple” story?